It is quite understandable why some customers may go to for the cheaper options at first. As garage door experts, having a multi-decade experience, we would like to clarify the differences with the price options on the market. As simple as it may be, there are many components of the garage doors (each with their important function of course) and several garage door types. Why are some garage doors cheaper? Today we will focus specifically on garage door rollers and help you to identify what is a reasonable price and what is a most likely a cheap part. Garage door rollers might appear similar visually, but there is a reason for the wide range of prices found in today´s market. 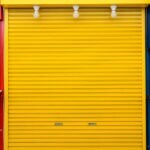 When a price looks to be much lower than the regular market price, it can often be attributed to the fact that some companies are looking to sell cheap aluminum roller doors. Cheap is always nice, but this is a no sale. These doors are usually constructed out of thin slats of aluminum and not the standard double skinned insulated doors usually seen on the market. You will get a thin, less durable aluminum roll door, and on top of that, it will cost you more in the long run because without the proper insulation you will get a less energy-efficient garage and base of your house. Aside from this, many of these doors often lack safety features, despite the fact that they are required in most areas. While these doors will hold up for a bit, they tend to wear down after a year of use. As you may have guessed, the warranty no longer applies then. You may end up buying completely new garage door much sooner than expected. Some companies will advertise lower prices simply to get you in the door, only to tell you that they are out of stock of the promotional item. However, they will be more than happy to show you a similar product at a slightly higher price. 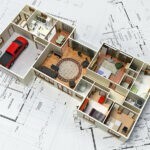 This has also been known to take place at the location of installation, as a technician might show up to install a product only to inform you that your project requires a different, more expensive part. How can you avoid becoming the victim of a scam? Well for starters, go with a company that has an honorable reputation. Colorado Overhead Door Company has become the most trusted location for purchasing garage doors in Denver for over 30 years, and for good reason. Not only do they offer a wide range of products and materials, but they are able to provide a quality build that fits almost any budget. Don’t risk spending your money on sub-quality products. Call the team at Colorado Overhead Door Company today and install a garage door that you know will last. Some Interesting & Fun Garage Facts!